Tactical threat intelligence provides information about the specific tactics, techniques, and procedures (TTPs) employed by threat actors to achieve their goals. Technical defenders (e.g., system architects and security personnel) and security decision makers are the primary audience for this type of threat intelligence. By understanding the attack vectors, tools, infrastructure, and forensic avoidance strategies being used against targets in their industry or location, organizations can more effectively manage defenses and allocate security resources. Threat intelligence can be broken down into four distinct subcategories, each with its own sources, technical complexity, and audience. While some types are intended for a purely technical audience, others are intended for mixed audiences, and are often consumed by individuals with almost no technical knowledge at all. In the first installment in a four-part series on the different types of intelligence that make up a comprehensive threat intelligence program, we covered the strategic side. Today, we’re taking things to a more tactical level. Tactical threat intelligence provides information about the tactics, techniques, and procedures (TTPs) used by threat actors to achieve their goals (e.g., to compromise networks, exfiltrate data, and so on). It’s intended to help defenders understand how their organization is likely to be attacked, so they can determine whether appropriate detection and mitigation mechanisms exist or whether they need to be implemented. Unlike strategic threat intelligence, which is almost exclusively non-technical, tactical threat intelligence is intended for a predominantly technical audience, and usually includes some technical context. In particular, tactical threat intelligence is consumed by personnel directly involved in the defense of an organization, such as system architects, administrators, and security staff, although it does also play a role in higher-level security decision making. Since threat actor TTPs change all the time, tactical threat intelligence is usually gathered during the course of normal intelligence operations, rather than on request. In some cases, industry-vetted reports can be obtained via intelligence-sharing initiatives such as the Cyber Security Information Sharing Partnership (CiSP). While these reports can be extremely valuable, they are produced for a wide audience, and consequently only a small proportion will be relevant to any specific organization. For this reason, industry reports are at best an incomplete source of tactical threat intelligence. While it is possible to build an in-house collection capability for tactical threat intelligence, it can be costly to do so, and it requires a variety of specialist tools and skills. For most organizations, purchasing tactical threat intelligence from dedicated security vendors is a more realistic proposition. What types of attack vectors are threat actors using to target organizations in your industry or location? For example, they could be harvesting credentials using targeted spear phishing campaigns, or they could be using documented vulnerabilities to escalate their privileges. Understanding which attack vectors are being employed against organizations like yours is hugely valuable because it enables defenders to prioritize their time and resources effectively. How are they selecting targets? Are they exploiting specific vulnerabilities? How are they moving laterally and/or escalating privileges within target networks? What are their objectives, and which asset classes are they targeting? Have there been any observable patterns of behavior? What tools, if any, are threat actors using during the course of their operations (e.g., to compromise target networks, escalate privileges, or exfiltrate data)? This type of information will usually come from post-mortem analyses of successful or unsuccessful attacks, and will ideally include details of the specific malware or exploit kits used. In addition to providing defenders with clear marching orders, this type of information can also provide insight into a threat group’s level of skill and funding. In addition to the tools they use, it also helps to have an understanding of the wider infrastructure being employed by threat actors. In most cases, this will relate to the data exfiltration portion of an attack, as this typically relies on communication between a point inside a compromised network and an external command and control (C2) server. 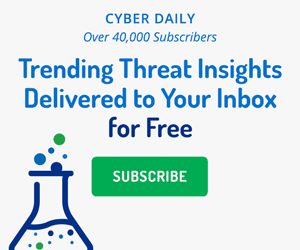 While identifying the specific IP addresses of C2 servers is more the domain of technical threat intelligence, tactical threat intelligence will focus more on the communication techniques used, like HTTP or DNS, for example. Understanding how these communications are conducted enables defenders to determine whether they would be detected and blocked by a network as it currently stands, or if further controls should be employed. Finally, what techniques are threat actors using to avoid detection of their tools and actions? Sophisticated threat groups will employ a variety of strategies to delay or avoid detection, and it pays for frontline defenders such as incident response analysts to understand which techniques are in common use. In perhaps its most obvious use, tactical threat intelligence helps defenders understand how and where they are most likely to be targeted, providing them with a chance to preemptively tighten security controls and processes. For example, if it’s determined that specific threat vectors or exploit kits are in heavy use, defenders can use that information to prioritize specific defense activities or reconfigure firewall settings. In some cases, tactical threat intelligence will highlight the need for an organization to invest additional resources in order to address a specific threat. For example, since spear phishing is consistently popular in almost every industry, an organization might choose to invest in better filtering technologies, or enhanced end-user training. While total prevention of incoming attacks is ideal, it can’t always be achieved. Not only will some attacks require intervention from first-line responders, but others will inevitably breach your organization’s defenses and require immediate action to prevent escalation. Having an understanding of which TTPs are in common use at any given time dramatically improves an incident response team’s ability to identify, prioritize, and remediate serious security incidents. Unlike strategic threat intelligence, it’s typically quite easy to measure the ROI of tactical threat intelligence. Whenever an improvement or investment is made, it should be monitored closely to determine its efficacy. For example, if your intelligence leads you to implement a new security protocol (e.g., DMARC) or reconfigure an existing technology, it should be a simple matter to determine whether any serious threats have been averted as a result. Unfortunately, since incident response efficacy relies so heavily on human expertise, it’s somewhat more difficult to measure the impact of tactical threat intelligence in this area. In lieu of more concrete metrics, it pays to have a strong feedback loop between frontline defenders and your threat intelligence experts. Tactical threat intelligence offers huge benefits for both frontline security personnel and security decision makers. For maximum value, though, it should be incorporated into a broader threat intelligence capability that encompasses all four intelligence types.